Take it from someone who, 28 years later, still hasn't been able to nail down the perfect "signature scent." Finding an all-encompassing, personality-fitting fragrance is extremely difficult. I've perused department stores several times over, sniffing each and every bottle (peppered by palette-cleansing whiffs of coffee beans and several breaks for fresh air), but nothing's ever landed in a way that represents me, reincarnated as an eau de parfum. As a consolation, I've found blends that hit certain aspects I enjoy (musk, fig, citrus…) and spray according to my mood du jour. Though as difficult as it's been to please my own self with fragrance, I'm even more taken to task when sourcing a beautiful fragrance for a loved one. That's the beauty of a good fragrance gift set. You don't have to invest in a full-size iteration, and many come with several different blends so you can take a few for a spin at once. There may not be a winner in the bottles you gift, but at least there's a certain luxury in giving someone a fragrance: Each curious little glass vile houses a symphony of notes that elicit a feeling, whether it's warmth, nostalgia, joy, or, though preferably not, aversion in a way that other gifts can't. This holiday season, we're hoping you find your giftee (or yourself) the perfect blend. 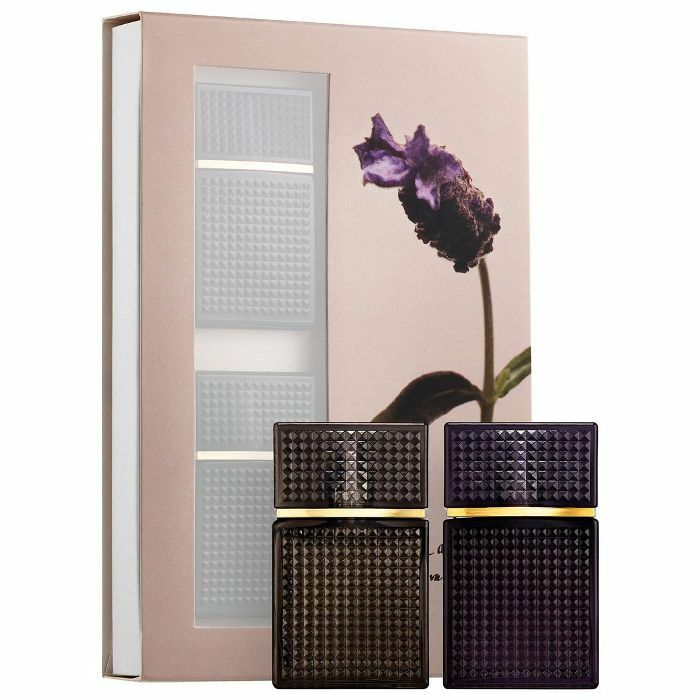 Take a look at our favorite fragrance gift sets below. For just $65, you'll get 15 different designer fragrances, from Tom Ford Black Orchid to Chloé Eau de Parfum to Burberry My Burberry. The best part: There's a certificate enclosed that'll earn your giftee a full-size version of their choosing (of the scents in the set) at all participating Sephoras. It's easy to immediately associate Jo Malone colognes with the holidays—the packaging, the wooded smells. It's all very… Christmas in the English countryside. This gift set includes five different scents: Lime Basil & Mandarin, Nectarine Blossom & Honey, English Oak & Redcurrant, Wild Bluebell, and Wood Sage & Sea Salt. If you love sipping on a delicious latte, chances are you'll be entranced by this blend of black coffee, vanilla, and white flowers (because why not?). The clincher is it also comes with a Mini Rouge Pur Couture lipstick and mini The Shock Volumizing Mascara. Gifting (or, let's be honest, getting) a Cartier diamond would be awesome, but we aren't all . Interestingly, the folks at the jewelry giant dreamed up a scent that would smell just like a clear-cut diamond, with fresh, airy floral notes of tulip, honeysuckle, iris, and daffodil and a bit of citrus to emulate the light that reflects off the precious stone. Freshly floral with a hint of musk, Miu Miu L'Eau Rosee embodies an independent woman who's kind, curious, and slightly intangible. Enjoy the pink-tinged scent in a mini iconic matelassé bottle and rollerball. Hermès may not be in everyone's economic repertoire, but at just $50, you can gift someone with that covetable orange packaging we all secretly pine for. Inside this set, you'll find four 0.25-ounce Eau de Toilette dabbers in Un Jardin en Méditerranée, Un Jardin Sur le Nil, Un Jardin Sur le Toit, and Le Jardin de Monsieur Li. In this giant collection of Atelier treats, you'll find not only 18 different colognes, but body lotion, shower gel, and soap as well. 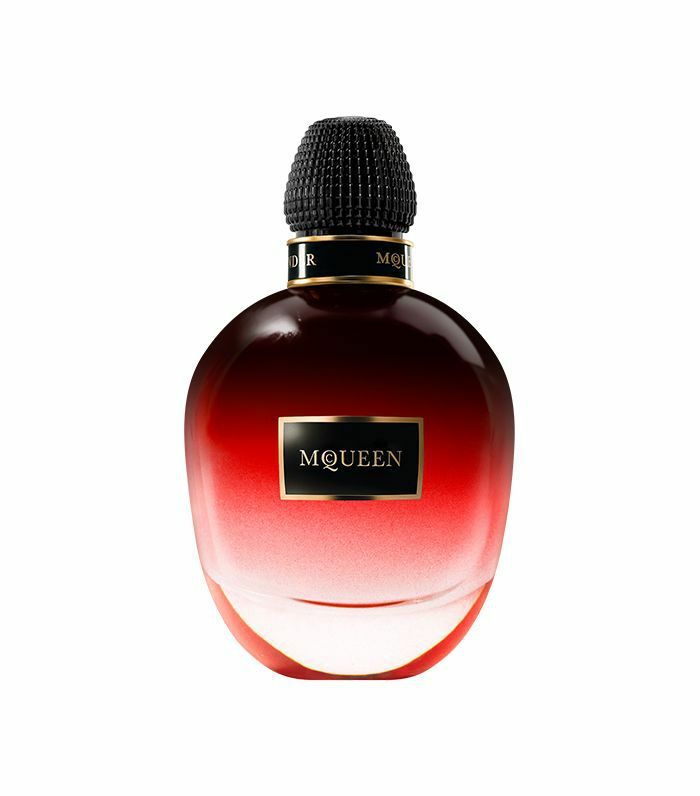 Alexander McQueen recently launched eight new fragrances, each of which were formulated by different perfumers who specialize in their corresponding scent categories. This particular blend, Blazing Lily, mixes red lily, peppery red pimento and an unexpected punch of gunpowder accord. Byrdie-favorite brand, Byredo, is full of earthy, unique, long-lasting scents that carry a husky confidence you won't find in other formulas. 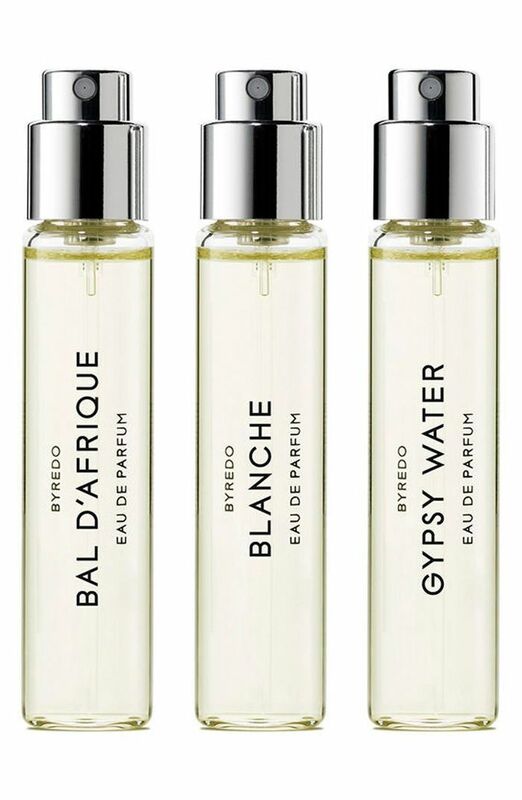 One bottle alone is an investment, but this trio of its hero scents allows your giftee to sample the best of Byredo at an affordable price. 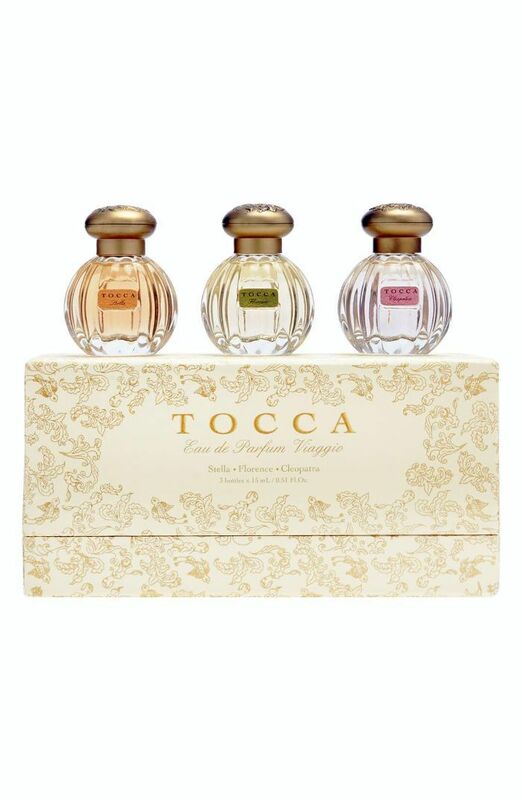 Tocca means "friendship" in Italian, so consider gifting your bestie with this trio of beautifully sweet scents. The brand has deep roots in vintage style, so with each fragrance, you're also getting beautiful eye candy for your vanity. We can't get enough of the Elizabeth and James Nirvana aromas at Byrdie HQ, whether in Eau de Parfum form or as a . They're completely intoxicating and earn us so many compliments, which is why we think this gift set of Nirvana Amethyst (tobacco, cedar, honeysuckle) and Nirvana French Grey (lavender and neroli) will be a smash hit for whomever you give it to.